To edit a keyword, click on the pencil icon to the right of the keyword, next to the detailed view button. You’ll be able to edit the notification settings for an existing keyword. 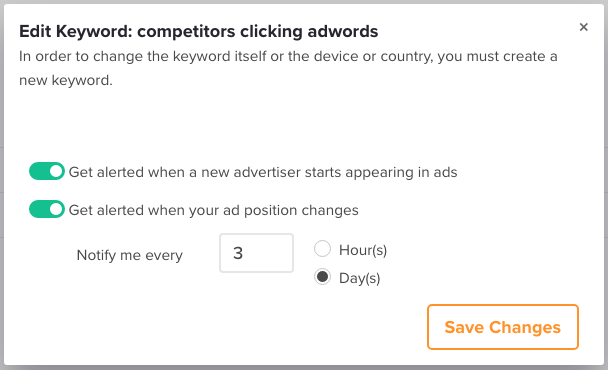 However, if you want to change the search term/keyword itself, device, or country, you’ll have to add a new keyword.